Here’s a fun image from Faery Ink combined with gorgeous papers from Paper Temptress today. I wanted to use some fun pinks and these cute little roses that I picked up while in Turkiye. They sure have a lot of different kinds of bling there. 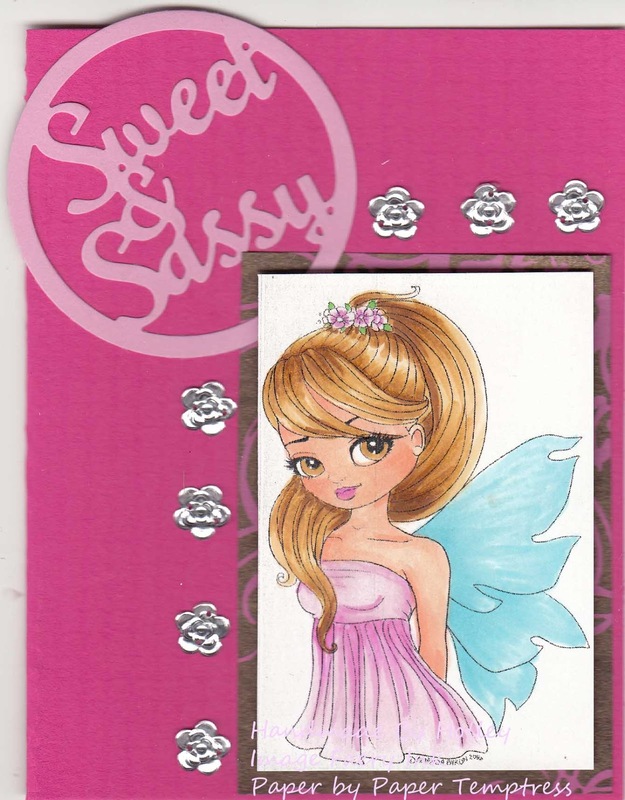 The base of the card is some delicious pink cardstock in a called Pop Tones Razzleberry. I layered the image on some wonderful Hambly Screenprint called Whimsical, it’s a great shimmery brown with pink highlights and in person is just perfect! I printed out my image using Neenah Solar white classic crest paper. Finally I added an extra die cut using some Pop Tones Bubblegum pink paper.